"The Chain is our never-ending list of records, with every new track somehow connected to the last"
This has imspired me to start an Avengers game called 'The Chain'. Rules : Post an episode of 'The Avengers' on one line and explain the connection it has to the last episode posted. Any connection allowed, such as a place, person, phrase, actor etc! Hey, another RadMac fan! I love The Chain. I've been on The Chain! What a good idea to do an Avengers version. I'm sure Mark and Stuart would approve. I'll follow on with the next link. Steed is nearly killed by an ammo box cartridge in Angels Of Death and kills someone with one in Death's Door. They both feature the same outsized deskcalendar prop. Nicholas Courtney (Gifford in Mission...) played the pilot in Propellant 23. Steed insinuates something about his female partner while perusing lingerie. Oh yes - stepping outside the Chain for a moment, I love those two episodes' wit. "The chief predator told me that 'our' Mrs Peel was in ladies' underwear... I raced up the steps three at a time" - or something like that! 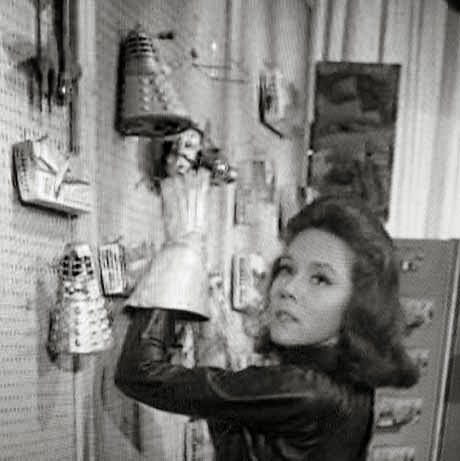 To which Mrs Peel replies "Merry quips department, fourth floor" - my goodness the dialogue sparkles. I do also like how Cathy had the measure of Steed with her "do you always arrange to take your calls in lingerie shops?" (I paraphrase). 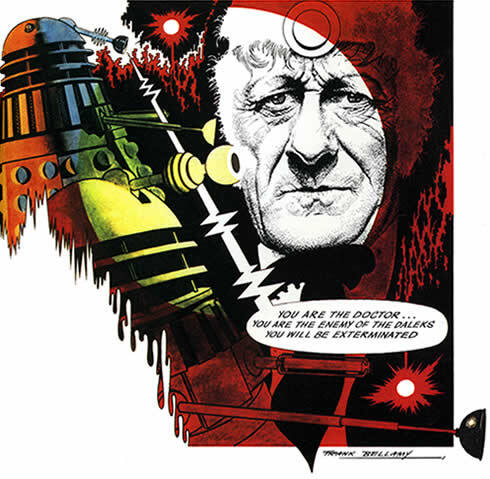 Steed: "Whenever humanly possible". 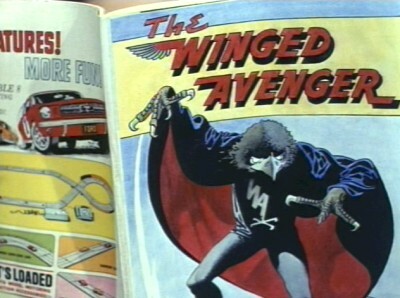 One Professor, the excentric Poole in the Winged Avenger, links to another - the exercising Professor Acheson. What is the common link between Something Nasty in the Nursery and Requiem? could have been. I was thinking that Steed's apartment is bombed in both. Taking it up from Requiem! A Touch of Brimstone - Directed by James Hill AND guest starring Peter Wyngarde. Steed evades a falling blade in this one too.